Chronic pain is cruel. It strikes pets of any breed, at any age. Some pain such as that from a wound will subside with medication and in time as the body heals, but chronic pain will never be cured. Our pets often suffer in silence only showing symptoms of "slowing down" which is often misunderstood for normal aging. Pets will endure more pain than humans can withstand. The most common chronic pain we see in practice is arthritic pain caused by degenerative changes in bones and joints. 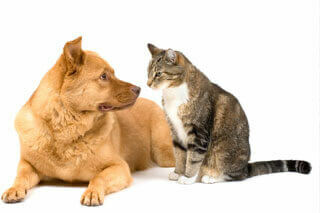 As owners, we need to be closely monitoring our pets so that we can implement a pain management program quickly. Our goal is to keep your pet mobile as long as possible. 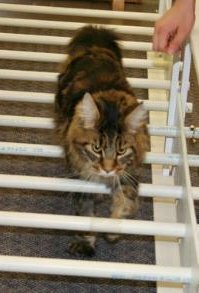 Our Mobility Rehabilitation Programs allow you to leave your pet for a session several times a week so our staff can spend time helping your pet regain function through repetitive exercises using ball therapy, massage, ramp and stair exercises. 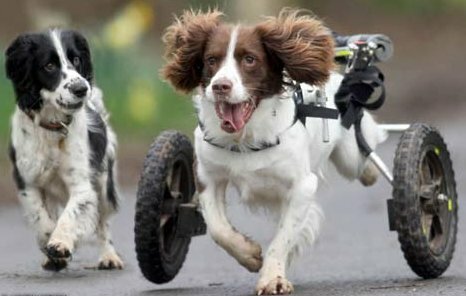 Mobility Rehabilitation can also help with pets who have had recent injuries or surgery on their legs, hips and/or spine. We will improve healing with a program designed to improve muscle tone and joint strength at a faster rate.